Tow Truck Insurance Fort Worth Tx – Call Now! For better rates and service on Tow Truck Insurance in Fort Worth Tx and the nearby areas call Pathway Insurance. You can reach us Monday through Friday toll free at 800-998-0662 to speak with one of our experienced agents, or submit your information online by clicking on Fort Worth Tx Tow Truck Insurance. Pathway Insurance offers competitive rates on Tow Truck Insurance in Fort Worth, Dallas, San Antonio, Austin, Houston, and all over the State of Texas. Tow Truck Insurance Fort Worth Texas – Know Your Coverage Part 3. In our last two articles we discussed the importance of understanding your Texas Tow Truck Insurance policy, and how the best way to understand your policy is, once again, to read it thoroughly. Let’s now return to our imagined scenario for the conclusion that will illustrate the importance of understanding your policy. Tow Truck Insurance Texas – Coverage Scenario Continued. When we last saw Jethro and Linda, they had just been through an auto accident on their way home from a boating trip. You’ll recall that they had just purchased a new boat but did not want to use their personal vehicles to pull their new watercraft. Instead, Jethro decided to use one of his tow trucks. Because he purchased On Hook Coverage for all of his tow trucks, he assumed everything would be fine. After the accident, Jethro files an insurance claim for the damage to his boat on his commercial auto policy because he has a $5,000 deductible on his boat policy but a zero dollar deductible on his commercial auto policy. A few weeks later Jethro receives a letter from his insurance company denying the insurance claim! 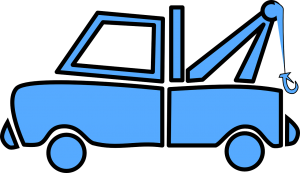 “Towed Auto” or “watercraft” means an “auto” or “watercraft” not owned by or registered to “you” while it is being moved by “your” covered “auto”. “Towed auto” or “watercraft” also means an “auto” or “watercraft” when it is moved from the place where “you” accept it for movement by or on “your” covered “auto”, until such time as it is moved to the place where it is finally delivered by “you”. Simply put, the insurance company is not obligated to pay for the damage to the boat because it was owned by Jethro at the time of the accident. Jethro is naturally a bit upset. He had previously called his agent (who wasn’t in at the time) but spoke with the secretary who assured him that his On Hook coverage would cover him when towing watercraft. Why did the secretary tell him he was covered when he clearly was not? We will consider this in our next post. Tow Truck Insurance Fort Worth Tx – Call Today! Commercial truck insurance is a bit more complicated than you might think so taking the time to understand your coverage is a very good idea. Pathway Insurance can help you find the policy that’s right for you and your business. Call us today toll free at 800-998-0662 to speak with one of our insurance agents, or click Tow Truck Insurance in Fort Worth Texas to submit your information to us online.